Blogging & maintaining my new website..... easier said then done! Apparently I'm not much of a blogger, I'll give it a try. Last summer I moved into a new studio on a great location very close to the beach and the harbor. Move out & settle in took a while, but next weekend my studio will be open for public during the national open atelier weekend! Oh my.... what a lot of stuff!! What a evening, it rains & drains, pours out of the sky. Still many people came to check out the Haagse rondgang! Thank you for the great evening! 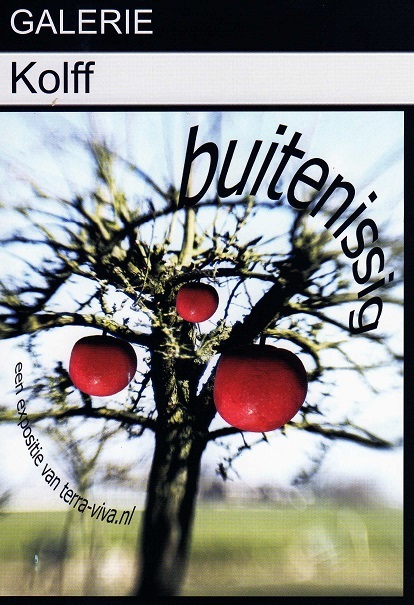 On May 17, 2015 was the opening of the exhibition ´Buitenissig'by terra-viva.nl art projects. An exhibition in which artists where asked to make special work for outside . The gallery located in the beautifull Groene Hart closeby Leiden has a huge garden area. As the title 'Buitenissig' refers to outside as well as flamboyant, extravagant, curious and different, excessive or exorbitant, it gives al lot of playground for some new different pieces! Three "Goudhaantjes" made of gold glazed ceramic & reinforcement rods scratching in the garden is the result for this theme exhibition.